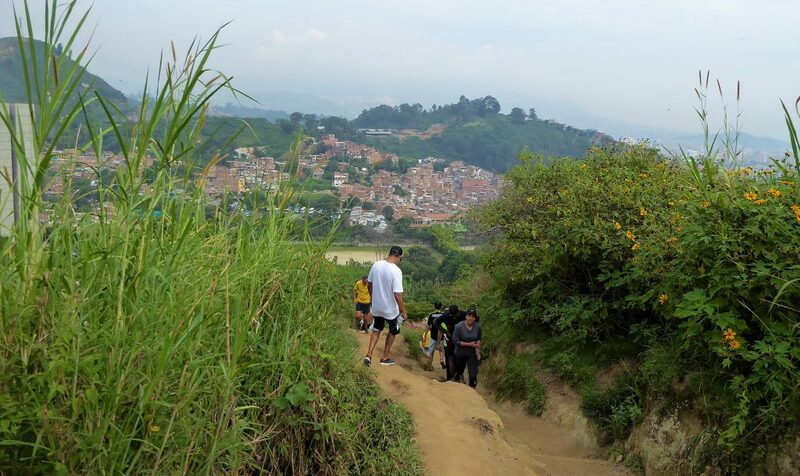 In Medellin on sunday it is time to be active and do some sportsactivities. I think that is great attitude! So when you want to do something the Sunday is a good day to start, especially when so many others around you are participating!! 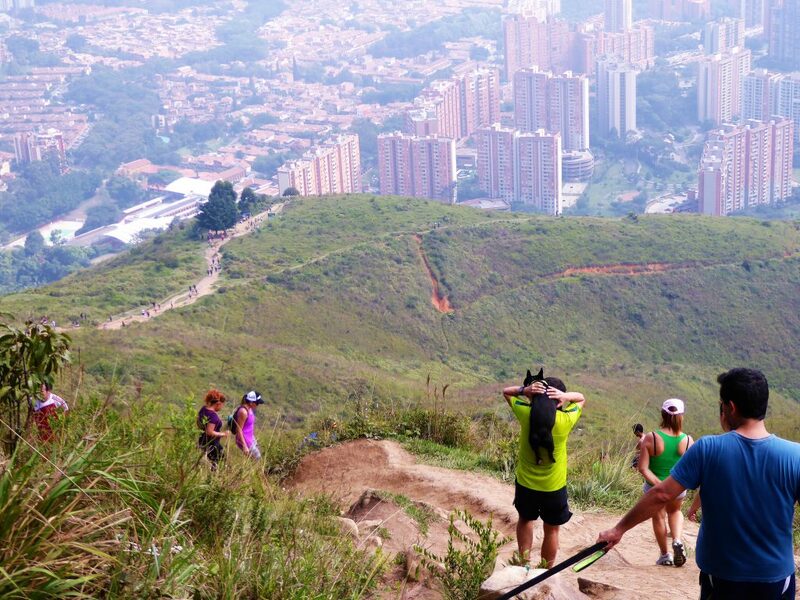 So when I was in Medellin on Sunday we ofcourse went along with that. 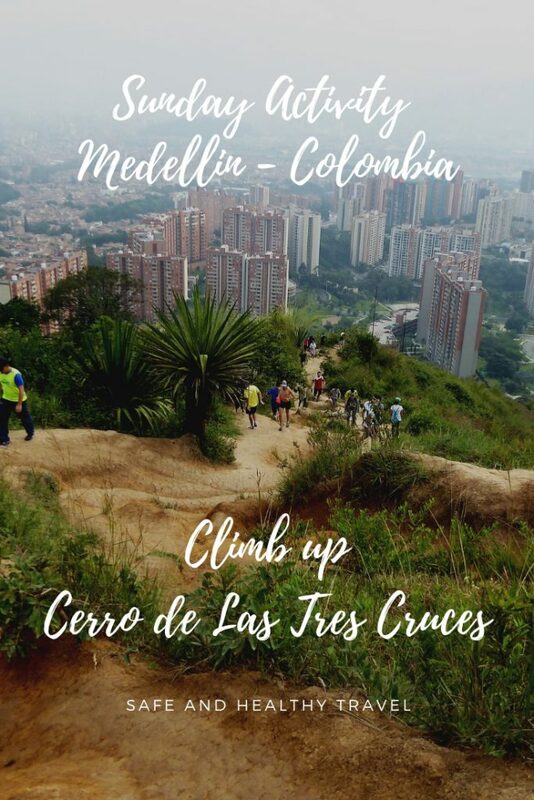 Babette and I went to Cerro de Las Cruces to climb it!! 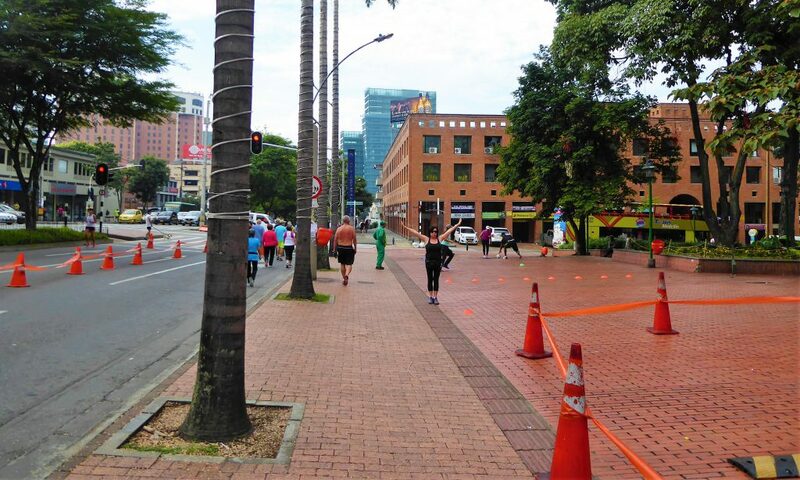 When I met her that sundaymorning at Parc Del Poblado I already saw that Medellin was serious about this! Some streets were partially closed and parcours were situated for the people to run or bicycle. Also a part for children to play or bicycle. 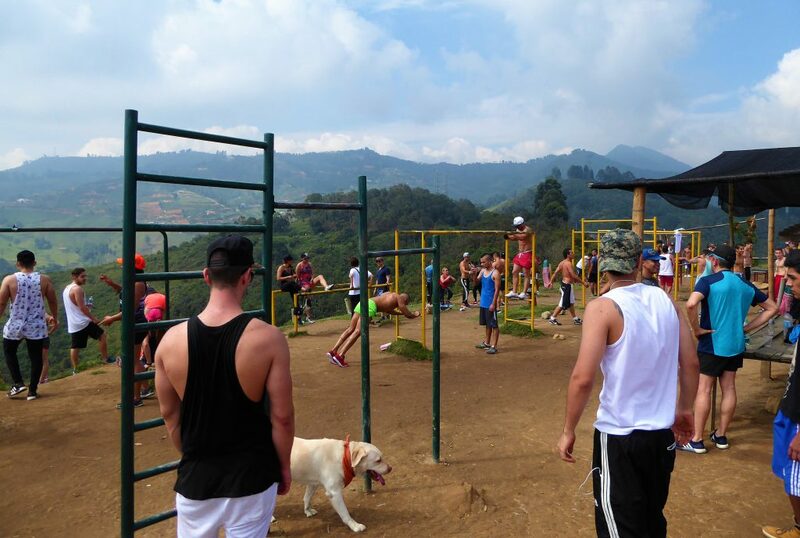 Every Sunday it is time to be active in Medellin!! 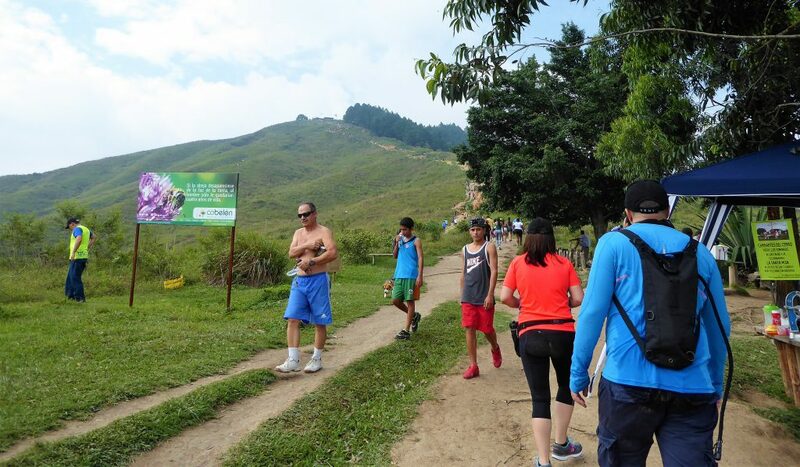 Lots of people also head out to the hill Cerro de Las Tres Cruces to run. The hill is situated outside the centre and so we took a cab / uber. 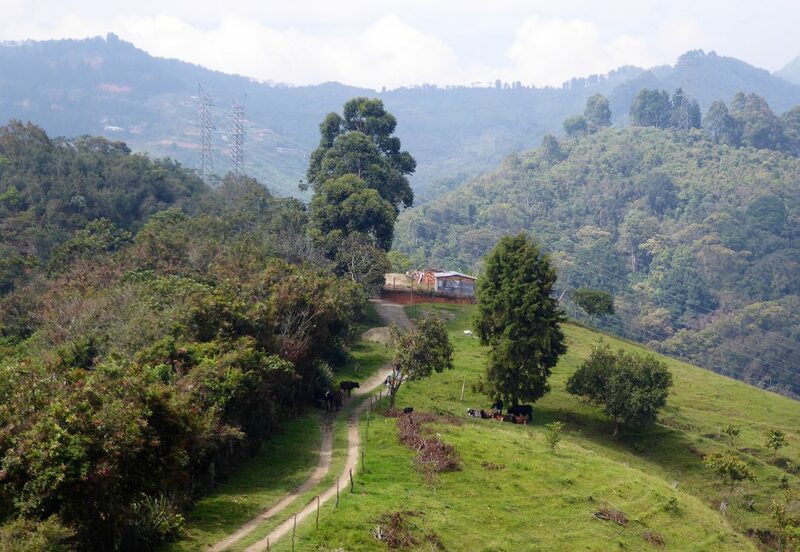 It is a drive of around 8K from the area surrouding El Poblado where I stayed and Babette lived at that time. We weren’t really early but still in time to start before the midday, hottest time of the day 🙂 It was already busy, lots of people walking and running up the hill. I saw whole families…people with their dog and even some people running down and going up again!! For everybody it is good to come! 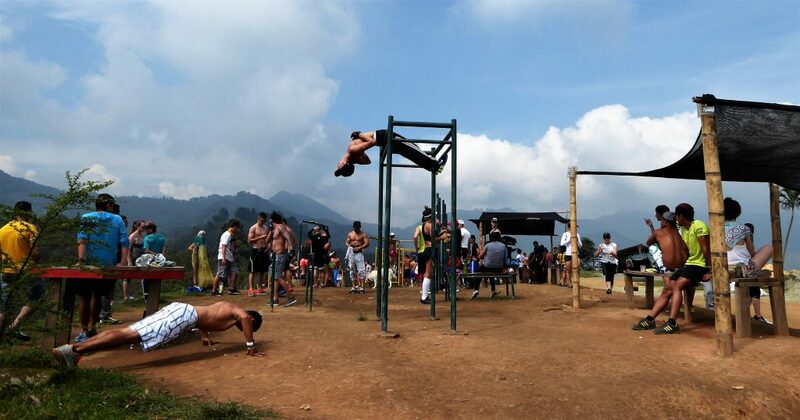 You’ll be stimulated to do a bit extra and really get a great workout! At some point I even saw a man with his dog on his shoulders.. So sweet!! I must admit that it was quit a climb with some nice challenges. At some parts you really need to look where you place your feet and how you go up. Some parts are steep and slippery. 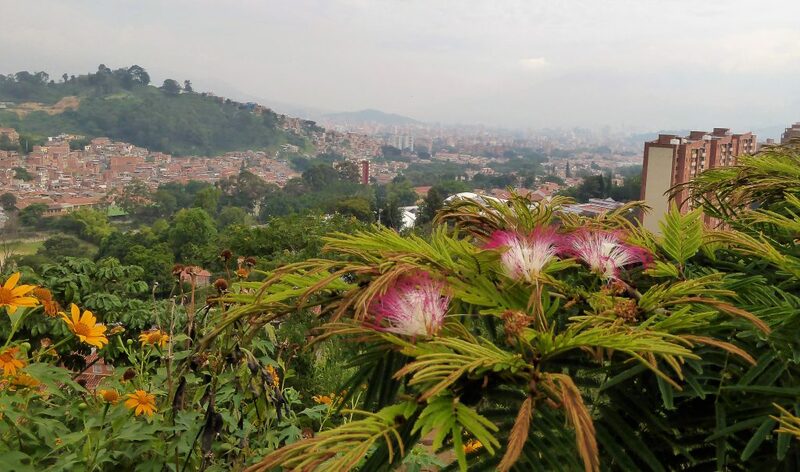 Medellin is a city in the northwest of Colombia, it is at an altitude of 4900 ft. Because of that you’ll be out of breath earlier.. I don’t know if we, the Dutch, have that more…or at a lower altitude already? But you need to take this into account. 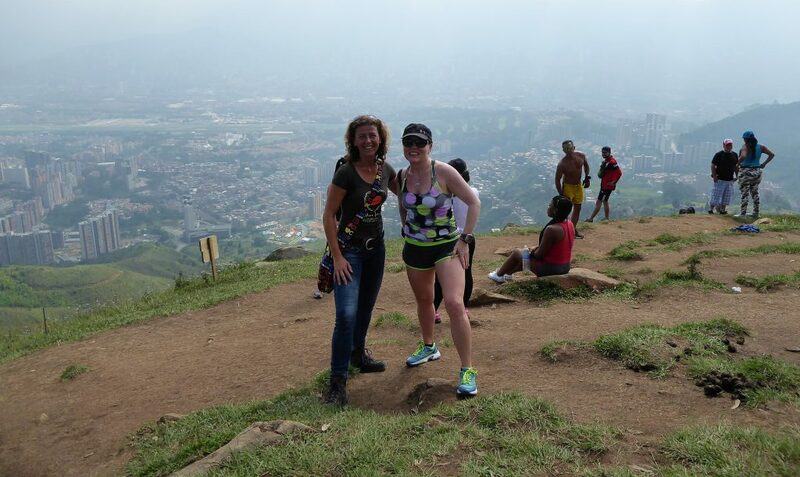 Don’t forget to look behind you when the view over Medellin gets bigger and more beautiful!! It can get hot… So make sure to enter early in the day and be up before noon. That way you can spend the hottest part of the day up there and enjoy the view and go down when it gets less hot again. Half way during the hike up you can sit down and relax while drinking some water. If you didn’t took enough you can buy some here. The hike is 1.2K and in totall you will climb over a 1000 feet. That is a lot in such short hike. But up there I was pleasantly surprised. There is a really good equipped sport centre! A wonderful outdoor sportscentre with everything you can wish for! I heard it was donated by a rich citizin of Medellin. Well… that person did a good investment and a lot of people use that on a daily bases! 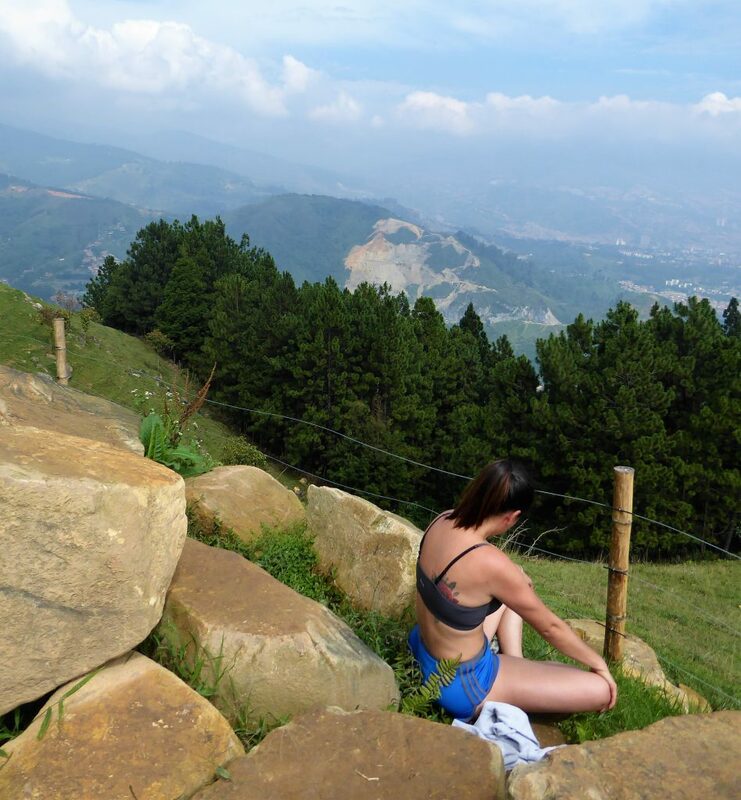 You can ofcourse sit down in solitude and enjoy your view and meditate before going down again. Also up here you can buy something to drink or to eat. They have thought of it all for a great and healthy sunday afternoon!! After looking around and cooling down a bit we went down again. 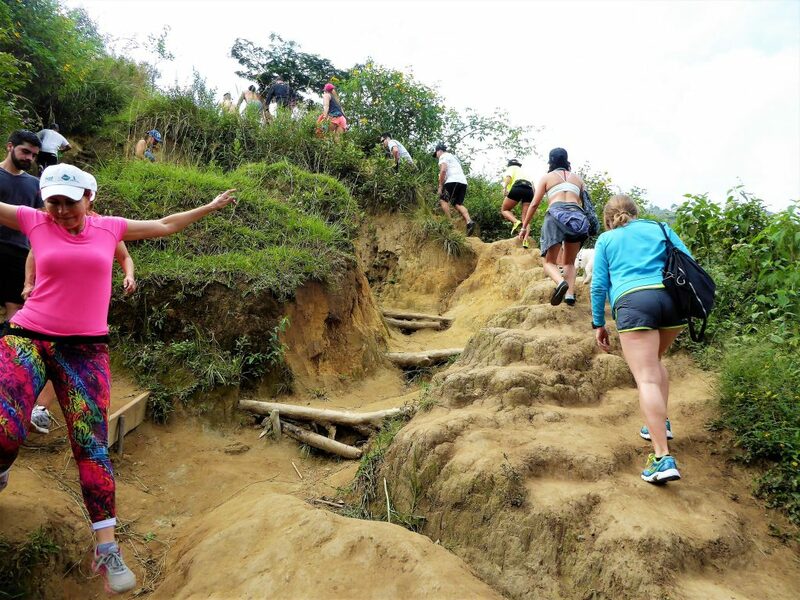 Going down is quicker but do make sure not to slip… It can get slippery and the path wasn’t that even at all parts. 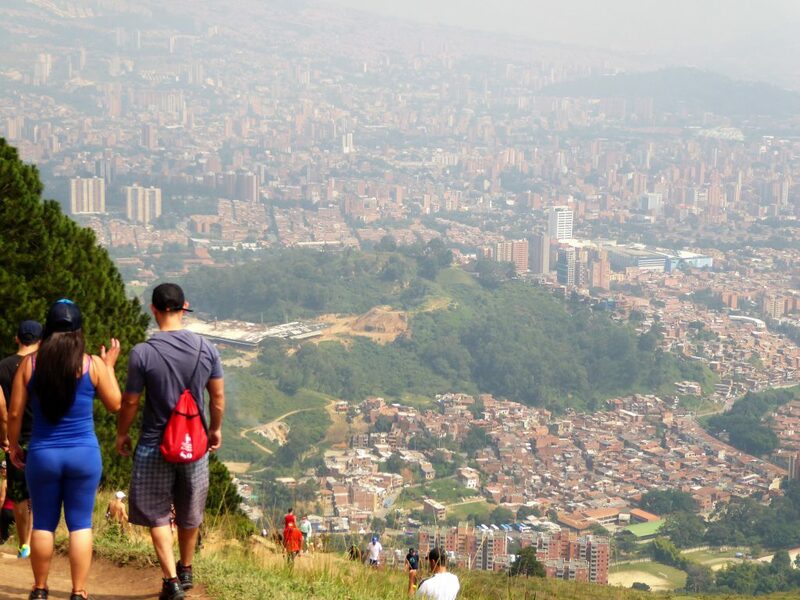 What a great sunday spend in Medellin! I couldn’t think of a better way! 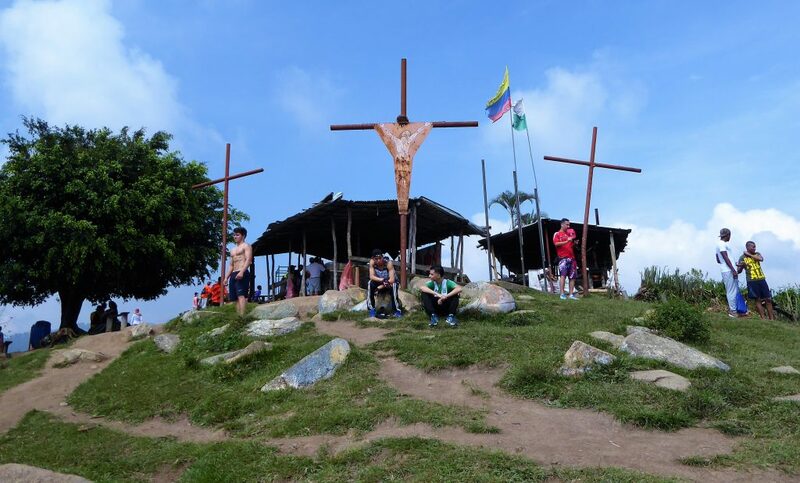 To enter the hill Cerro de Las Tres Cruces we took a taxi / Uber. te komen namen wij een taxi / UBER Not every driver knows this place and if you need an adress use : Calle 8 #88A You’ll be brought to the foot of the hill and only need to ask in the area for the entrance if you don’t see it immediatly. When you like going by metro that is an option too. The closest station is Los Alpes Metroplus, it is next to Los Molinos Mall. From there you can take a taxi / Uber which will not costs that much ofcourse. There is another way to go up Cerro de Las Cruces, this one is on the backside of the hill in the suburb Altavista. I do read about less accisibility for vehicles and that the area is not that safe. When I was up the hill I did see people entering from that side by bicycle. That seemed like a great challenge!! There is no entrance fee, it is free for all!! Would you love to hike this too? 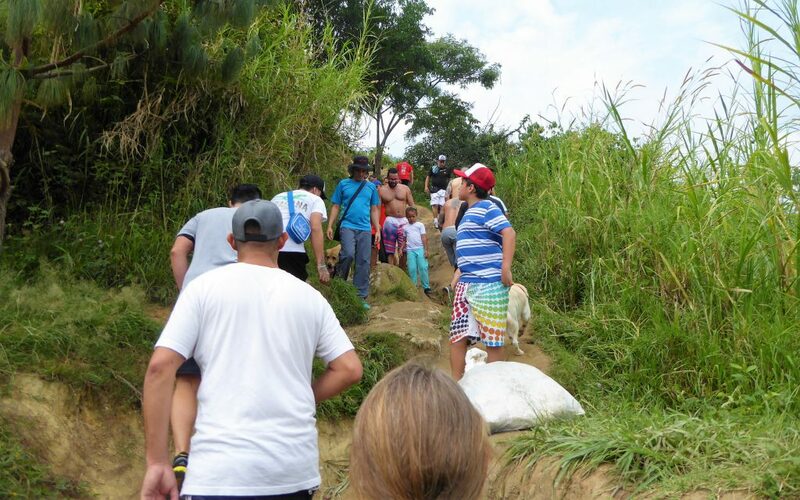 will you help share this great hike? In Medellin I also visitied Roberto Escobar, Pablo’s brother. 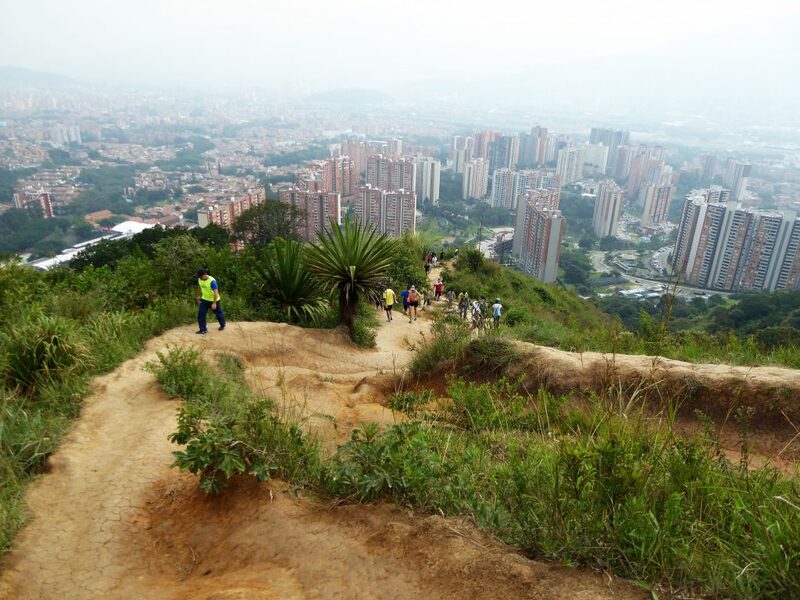 And I discovered Bogota: By foot, by bicycle and from high above!! 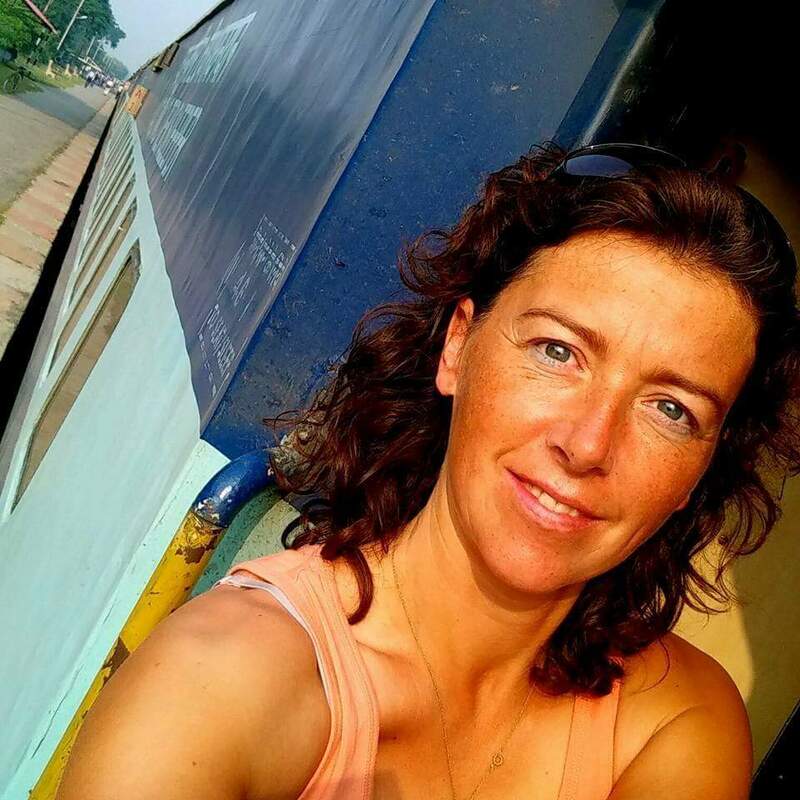 How about walking the Camino Frances in Spain? Walking for 800K in the great Spain landscape!! 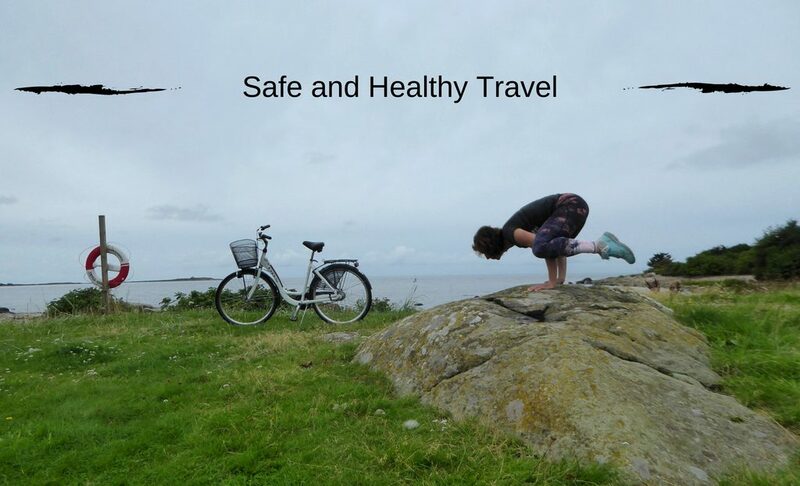 Do you also use your phone to travel safe? Staying Healthy starts with your Attitude!